Within the golfing scene in Marseille, two exceptional golf courses stand out and the discerning golfer visiting this part of France should not miss a round at either the Golf d'Aix Marseille or the Golf de Marseille La Salette. Both golf courses have something unique to offer and are just a short journey from central Marseille. Visitors are always welcomes at these clubs and are sure to enjoy the challenges, scenery and traditional French cuisine on offer. Here are Marseille's main golf courses. 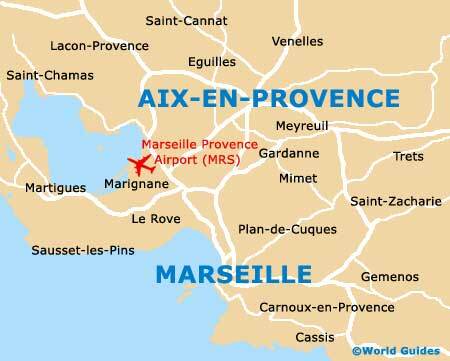 The Golf d'Aix Marseille lies approximately 30 km / 19 miles to the north of Marseille, on the western side of the A51. 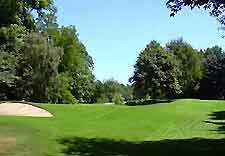 Set in an established parkland and boasting many mature trees, this excellent 18-hole golf course stretches for around 6,900 yards and is par 73. The course is home to a professional golfing shop, equipment hire, and a good clubhouse, complete with bar and restaurant. Just a ten-minute drive from the city centre, the Golf de Marseille La Salette club can be found on the northern outskirts of Marseille and enjoys a particularly tranquil setting, being surrounded by a number of scenic hills and rolling countryside. With 18 holes and superb facilities, such as club hire and buggies, other highlights include a practice area, a golfing school, professional instructors, tennis courses, a swimming pool and also a superb restaurant, which has become known for its tasty dishes. La Salette is a par 71 course, covering almost 6,000 yards.